Huddle is a document management platform that provides teams, enterprises, and government organizations with online solutions to collaborate on documents. It features a secure cloud-based software that enables users to share and store files, review and approve documents, assign tasks, and work seamlessly with teams. In this article, we cover user reviews and pricing. Ready to try Huddle? Request for a demo. Users who gave Huddle a positive review said that the software is easy to use and has many features. 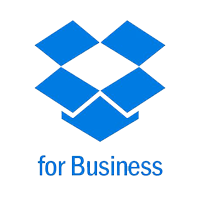 They also like its file sharing functionality and cloud compatibility. 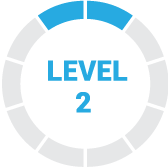 One user who left a positive review on G2 Crowd said that Huddle is a great tool for sharing documents and information. He explained that the software helps him to connect with the right people, share relevant information, and manage projects with ease. Users who gave a negative review said that Huddle’s interface should be enhanced to make it more intuitive. Several others suggested improvements for its calendar and collaboration tools in order to increase the platform’s functionality. One user who left a negative review on Capterra mentioned that Huddle’s interface could use a little update so that it will be more intuitive. He explained that he sometimes experiences difficulties navigating from one setting to another. Huddle offers four paid subscription plans, starting at $10/user/month. The main differences between the plans are the minimum number of users, file storage and workspace limits, and access to additional features, such as task management, team calendars, workspace templates, dedicated customer support, and more. Ready to try out Huddle? Request for a demo. Best Document Management Software 2018: Google Drive vs. Dropbox vs. Zoho — Document management software helps your business centralize and manage its documents and files, as well as content creation and workflows. In this guide, we compared Google Drive vs. Dropbox vs. Zoho to give you an idea of which document management software will work best for your business needs. 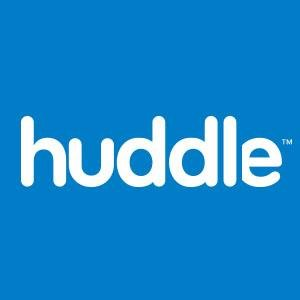 Can users access their Huddle accounts on a mobile device? Yes. Users can access their Huddle accounts on any iOS and Android device where they can work on their files, share documents, assign tasks, and manage approvals. Can users view their tasks across multiple Huddle workspaces? Yes. The Huddle dashboard includes a “My Task” widget where users can check all their tasks and task activities across multiple workspaces. Not sure if Huddle is the right fit for you? Read our reviews of all top document management software providers or check out one of these three Huddle competitors. It allows me to see, share and comment on all the files in which it is working … documents, images, whatever. The best part is that it reminds you and makes suggestions of the files that need your attention and approval. I love this application I can work from anywhere with him. What I love most about Huddle is that it provides an exact organization for all the documents that I have in my company, this organization of documents is what has helped me to always find what I’m looking for without this being in danger while being stored in a computer, everything from the cloud that they provide me daily. The platform has a design that I do not like, it does have very good functions, it can not be denied that its document management is perfect, but they should make emphasis on improving the quality of the UI. Document management is perfect when using Huddle. It is super easy to implement and thanks to its interface the user participation is fast and without any problem. I love their features for file management. The desktop application creates multiple duplicates of folders and files and although I can edit them I am not allowed to delete them and this generates an extra space in the internal memory. Working with Huddle is the best thing that could happen to me, previously I used other programs that were very slow, but with Huddle the files are loaded super fast I am delighted with this application I always recommend it. It has fabulous tools to share files and collaborate with colleagues and partners. You can add some Custom Fields to the tasks. Its interface It is really intuitive. I would like it to have better calendar functionality. There is no reporting capability and I can not upload folders. Do not unzip zip files. Huddle has been with us for several years and this time the product has evolved a lot. He has provided assistance 24 hours a day, 7 days a week with reactive and useful customer service agents. We love. We recommend it because in this company there has been a change in terms of job development, and our sales have also increased exponentially since we started implementing it.